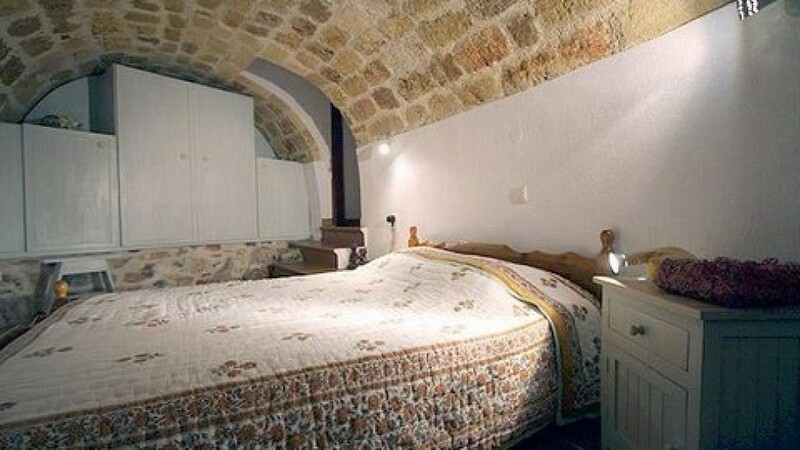 Located in the heart of the Byzantine Citadel of Monemvasia and nestled in pristine surroundings, the « Monopati Rooms and Apartments», an enchanting and rustic residence, invites you to settle down and relax, taking in the unique atmosphere. The houses have been restored with natural materials, blending the advantages of modern comfort with the authenticity of their medieval origins. We offer two different kinds of accommodation at a reasonable price; ideal for honeymoons, family vacations, a gathering of friends or to visit on your own. Here time has no meaning. For 2 or 3 people. The apartment (50 sq.m.) has a kitchenette and dining corner, a veranda in the alley to enjoy the sea and church view, two bedrooms (one double and one single), and a bathroom with a shower. For 2 to 5 people. The house (90 sq.m.) has a living area with fireplace, a terrace with sea view, a small furnished kichen, two bedrooms (one double and one triple. The triple has one double and one single bed), and a bathroom with a bathtub.